Visit RESULTS at the Innovation & Impact Fair! 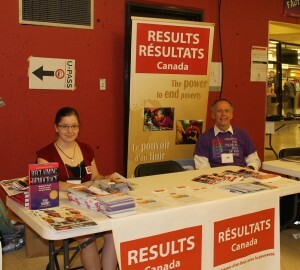 Come out and visit the RESULTS Canada table at the Innovation & Impact Fair 2014: Better Futures for Children and Youth! The Knowledge Network on Children and Youth hosts the Innovation & Impact Fair annually, to showcase projects focused on the well-being of children and youth to development practitioners, the academic community, researchers, leaders, opinion-shapers, media, interested businesses and the Canadian government.